Amazon Publishing is breaking into non-fiction in the UK through imprint Little A. The retailer's publishing arm has been “keen to explore quality non-fiction from UK authors for some time”, according to editorial director Laura Deacon, and is calling on agents to submit a broad range of titles ranging from history, science, lifestyle and popular culture. Agents The Bookseller spoke to have greeted the news with enthusiasm. 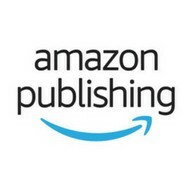 Amazon Publishing currently publishes fiction under four imprints in the UK: Thomas & Mercer, Lake Union Publishing, Montlake Romance and 47 North. In the US, Little A publishes literary fiction and non-fiction, but in the UK it will currently just focus on non-fiction. An online journal. We gravitate towards work that is quirky, accessible, and unconventional. An ideal piece might cover a subject few people write about or cover familiar subjects from an unexpected angle. If you feel the need to write, you absolutely should write. Don’t trust those who say: I’m telling you for your own good, don’t waste time on that. The art of discouraging with kind words is among the most widely practised. Nor should you believe those who say: you’re young, you lack experience, wait. We shouldn’t put off writing until we’ve lived enough, read sufficiently, have a desk of our own in a room of our own with a garden overlooking the sea, have been through intense experiences, live in a stimulating city, retreat to a mountain hut, have had children, have travelled extensively. Publishing, yes: that can certainly be put off; in fact, one can decide not to publish at all. But writing should in no case be postponed to an “after”. When writing is our way of being in the world, it continuously asserts itself over the countless other aspects of life: love, study, a job. It insists even when there’s no paper and pen or anything, because we’re worshippers of the written word and our minds dictate sentences even in the absence of tools with which to set them down. Writing, in short, is always there, urgent, and distances even the people we love, even our children who ask us to play. A full-service boutique agency providing hands-on guidance throughout each and every part of the publishing pursuit. OTLA is single-minded and fully dedicated to getting you on the right track to launch your career or progress to the next level. From honing manuscripts to be their very best, to identifying the right market for placement, through contract advisement and negotiation, to crafting promotional campaigns to help grow your audience, the prime objective is to help you achieve your goals. Currently seeking completed works with vibrant, fresh voices in these genres: romance, women's fiction, mysteries, and young adult. Annual student-edited literary magazine. Send 3-5 poems or short stories up to 1,500 words by post or by email. Submissions from contributors outside the university are considered between October and February each year. One of the most disenchanting moments when teaching creative writing must be coming across “he ran as fast as a cheetah” in a piece of writing. You know you have taught them appropriate comparisons; you know you have shown them examples from literary geniuses… so why is that blinking cheetah rearing its spotted head again? The problem of stock similes and metaphors littering pupils’ writing is the bane of many an English teacher’s life. What can you do about it when it feels like you have already tried everything? A technique I have used is "exploding" metaphors and similes. This forces students to consider their comparisons more carefully, and consequently makes them write with more detail. It can also lead them to consider the writer’s craft more carefully in general. And when they think like writers, it will always help their analysis.